Are you ready to transform your mind and your body? Our Spartan Body Bootcamps (SBBC) offer a uniquely challenging, dynamic, and high-energy environment to help you tone your body while gaining strength and confidence. Getting in shape is never easy, but it’s always rewarding if you’re willing to put in the hard work. At Elite Spartans, we offer bootcamp training sessions in the form of our own signature Spartan Body Bootcamps. These sessions are designed to challenge your mind and body in a fast-paced, high-energy environment. You’ll sweat, grit your teeth, put your muscles to the test, and have fun with other gym goers as you work your way toward a better state of fitness! Led by our expert, certified trainers who can accommodate your current fitness level or any preexisting injuries, we’re confident that you’ll get a lot out of our bootcamp training sessions — even your first one, which is free! Learn more about why our bootcamp sessions are the best way to achieve your dream bod, and then sign up today. Why Choose Our Bootcamp Sessions At Elite Spartans? Your first session is completely free! Our Spartan Body Bootcamps, or SBBC, are a mixture of high-intensity training, functional training, cross-training, and a whole lot of FUN! Every single class is a full body workout led by certified trainers. All trainers are extensively coached in making adaptations/modifications for all levels of fitness and pre-existing injuries (beginners, intermediate, and advanced). The goal of our SBBC classes is to challenge your body at totally different levels while also toning and shaping the body and gaining strength and confidence. Get Motivated. Get Fit. Become Elite! What makes Elite Spartans’ bootcamps in San Jose stand out from the competitions is the cohesion of classes and trainers. This allows you to become comfortable in your environment while consistently challenging our members with a wide variety of workouts. At our bootcamp training gym in San Jose, we pride ourselves in getting to know our members and welcoming everyone into the Elite Spartans’ family and our friendly community. 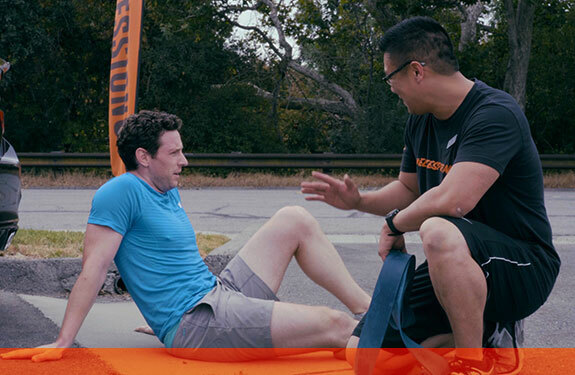 To ensure that our bootcamps are the right match for you, each person is given one free class and a follow-up meeting with a membership consultant so we can go over membership options. It takes courage to break out of your comfort zone and take an intense, high-energy bootcamp workout in San Jose — really, we understand that it’s easier said than done. However, once you find yourself immersed in the infectious, uplifting energy of our bootcamp sessions here at Elite Spartans, we’re confident that you’re going to find your new favorite workout. With knowledgeable, friendly and experienced certified trainers along with a caring and supportive environment, our goal is to make you feel as comfortable as you are challenged at our gym in San Jose. We even offer your first session completely free of charge because we’re so excited to have you come check out the Elite Spartans community! Take the plunge — get motivated, get fit, and become elite. We’ll see you soon!